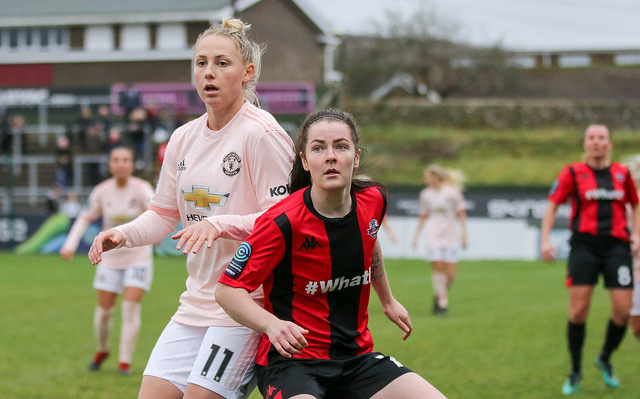 A strike from Mollie Green and a fortuitous finish for Ella Toone gave Manchester United three FA Women’s Championship points as they overcame a superb defensive display from Lewes at the Dripping Pan. United started quickly. After five minutes Mollie Green volleyed over after some pinball in the Lewes penalty area. The visitors applied relentless early pressure, ‘keeper Faye Baker parrying Katie Zelem’s low drive before seeing the rebound hit wide. Lewes played out of their skins, defying recent form to match their illustrious opponents in workrate and focus. Baker, giving possibly her best display yet in a Lewes shirt, had to tip away Zelem’s wicked, in-swinging corner. In the last ten minutes of the first half left, Lizzie Arnot struck the post for United yet still Lewes held firm. And the Rockettes could have taken a shock lead against the full-time side in the last minute of the half. United keeper Siobhan Chamberlain did well to block Leeta Rutherford’s strike after Rebeca Carter cleverly turned Katie McIntyre’s near-post corner across the United area. Vicky Carleton's follow-up beat Chamberlain but was brilliantly blocked by a diving defender. HT 0-0. Eleven minutes into the second half, Green broke the deadlock. Sigworth did well to take a pass out wide past Robert then tore into the Lewes area. Her cut back wrong-footed half the Lewes defence but not Mollie Green, who stepped in to hammer home past Baker. 0-1. Within minutes Baker made the save of the season, somehow getting a hand to Sigsworth’s strike from point-blank range. McIntyre, immense throughout, popped up on the goal-line as Sigsworth finally beat Baker. Lewes could, perhaps should, have had a chance to level things late on. Samantha Quayle, on for the non-stop Carter, flicked on for Danielle Lane. Her cross, intended for Carleton, bounced up and struck a United arm. No penalty. Moments later Leeta Rutherford was hauled to the ground as she lined up a strike from a Kempson corner. There was another twist before the end, a hotly contested penalty at the other end. Tash Wells, making tackles all afternoon, got her foot in to deny James, sliding in as she made the challenge. The United player went down and the referee pointed straight to the spot. Greenwood struck the ball towards the top corner but the sublime Baker read it, making a good two-handed save. The ball dropped, stuck three yards out and Toone, who managed to steal a good three yard start on her markers, slotted home. FT 0-2. “A loss is a loss at the end of the day, so we're not thrilled with that but it was a good performance. We talked before the game about being together, playing as a team and being there for each other, and I think we achieved that. Everyone had each other’s backs. 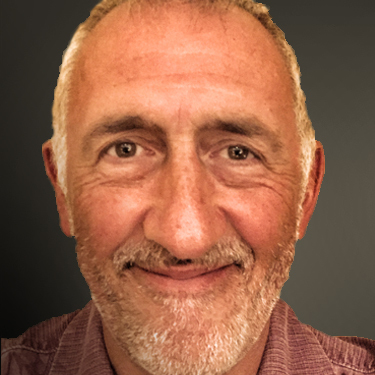 “It was difficult – I think Lewes played well. They made it hard for us and we found it difficult to break them down. Conditions weren’t easy in terms of the pitch, the wind and the rain, but we’ve kept a clean sheet and we build on that now." Lewes go looking to bounce back when they go to Millwall Lionesses in the FA Women’s Continental Tyres League Cup on Wednesday. On Sunday it’s back to FAWC action as we welcome Charlton Athletic back to the Dripping Pan. Last time they were sent packing with a superb 5-0 performance in the Conti Cup but the Addicks exacted revenge in the league in September, beating the Rooks 4-1. Georgia Robert: “Every team is a challenge, every game is a challenge and anyone can win on any given day.